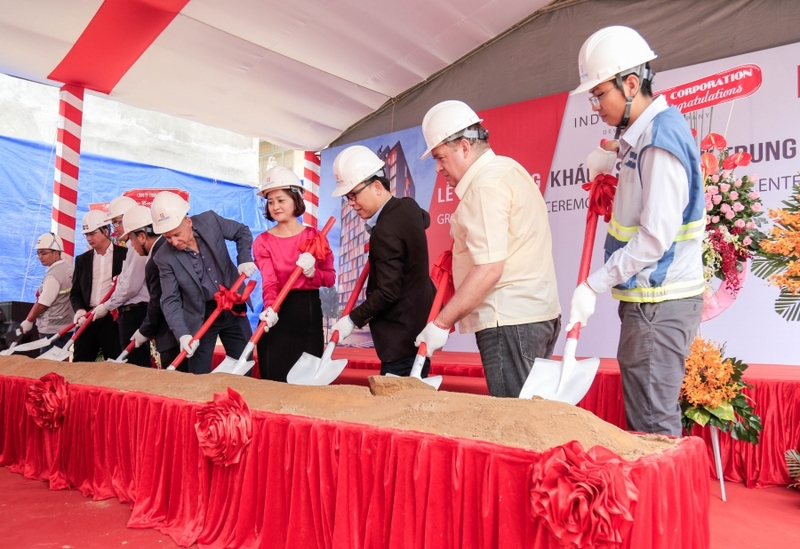 April 11, 2019 (HCM City, Vietnam) – ICC-Kajima, a joint venture between Indochina Capital, a leading real estate property developer in Vietnam, and Kajima Corporation, Japan’s most prolific overseas real estate developer, hosted a groundbreaking ceremony for the appointment of Newtecons, a subsidiary of Coteccons, as the general contractor for Wínk Saigon Center Hotel (hereinafter referred to as “Wínk 75 NBK”), the first Wínk Hotel in Vietnam. Located in a rapidly gentrifying area in District 1, HCM City’s central business district, Wínk 75 NBK will appeal to the young-at-heart business and leisure traveler. The 237-room hotel will offer modern design, a hip interactive lobby, co-working space, innovative food and beverage concepts, cutting edge technology and beautifully appointed minimalist-style guestrooms. The Wínk brand represents the power and tenacity of the Vietnamese people, catering to their fast-paced lifestyle and their growing awareness and interaction with the world at large. Wínk aims to champion the “affordable luxury” segment in Vietnam, with a prominent focus on delivering an exciting lifestyle experience. Tran Kim Long, General Director of Newtecons, shared, “With our extensive experience and strong credentials in carrying out hospitality projects, we will do our best to ensure the highest aesthetical and technical standards for Wink 75 NBK”. He added “The project will set a solid foundation for our relationship with the developer and we hope to continue working with ICC-Kajima in their projects in the future”. Newtecons have worked on a series of notable projects in Vietnam, including Landmark 81, Masteri Thao Dien, Casino Nam Hoi An and Forest in the Sky Residences at Flamingo Dai Lai. ICC-Kajima expects Newtecons to complete their work in November 2019 and are currently tendering the MEPF package for the project. “I look forward to continuing sharing updates with everyone as we move closer to the opening of our first Wínk Hotel,” said Mr. Ryder. 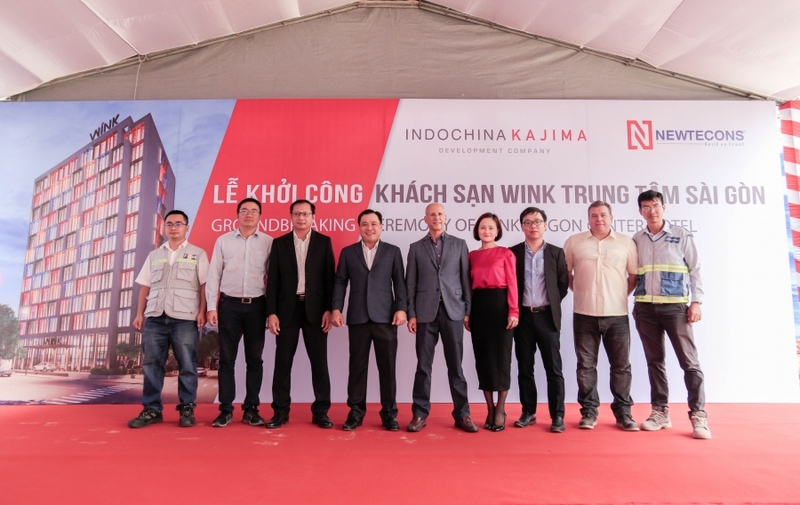 With an investment mandate of $1 billion plus, spread over the next several years, ICC-Kajima is committed to developing innovative and high-quality projects throughout Vietnam. The Company’s mandate is broad, encompassing virtually all types of real estate (commercial, residential, hospitality and logistics). 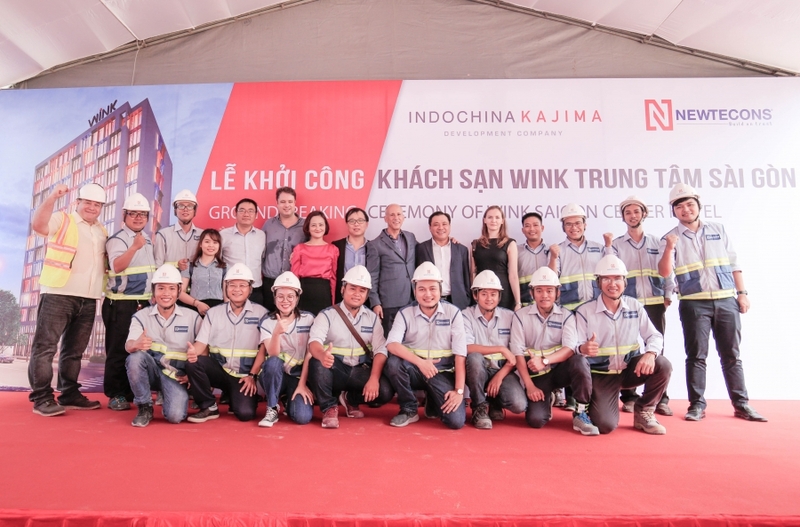 Wínk Hotels is a key component of their development program, and ICC-Kajima targets building as many as 20 Wínk Hotels over the next five to seven years in Vietnam’s primary and secondary cities, with potential expansion into neighboring markets, such as Cambodia and Laos. Wínk 75 NBK is set to open in Q2 2020, and shortly thereafter, will be followed with Wínk Hotels in Hanoi, Danang, Hai Phong and other domestic markets. Wínk Hotels is a new hospitality brand emerging in Indochina that takes a bold approach to affordable luxury in the region. The brand caters to modern, aspirational travelers, offering high-quality experiences that are grounded in the local destination. Wínk Hotels is the first hotel product of Indochina Vanguard Hotels Pte Ltd, a joint venture established in 2016 between Indochina Capital Corporation, an innovative leader in Vietnam’s rapidly growing real estate, financial services and capital markets, and Singapore-based Vanguard Hotels Pte Ltd.
For more information, please visit www.wink-hotels.com.